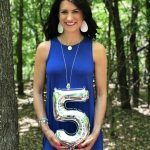 In June 2013, the Lord put it on my heart to start an infertility support group, which thanks to a good friend’s idea is named Moms in the Making. For over two years now I have met with ladies weekly/bi-weekly in my home. I have been so thankful to walk this journey with so many amazing ladies, but it’s time to open up the group to those who don’t live here locally. I have wanted to do something online for about a year and a half now. While I hoped it wouldn’t be through facebook, for now, that will be the best way to facilitate the group. If you would like to join the virtual group, please visit this link, leave a comment or e-mail me. I’m answering some questions below as to what you can expect. 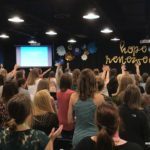 The purpose of this group is to offer hope and encouragement, connect with others, and focus on God’s word while waiting on Him. 1.Who is this group for? 2. What can I expect from the group? To meet and find support from others who are going through infertility, to be encouraged, to be fed God’s word, and to share prayer requests and praises. 2. Do you have to be a Christian to be in the group? No, but it is a Christ-centered group. 4. How do I join the group? If you know of someone who is going through infertility and needs to be encouraged, please share this group with them. Also, if you have any other questions, please don’t hesitate to ask. Happy 5th Birthday Moms in the Making! So many will be encouraged by this, Caroline! I will be praying for you as you lead this group. I lOVE this idea. 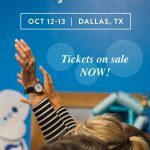 I struggled with infertility for years, and would’ve loved to have this sort of community. It’s hard, and having people to talk about it with helps. Thanks for sharing. Is there a way to join the group without others seeing that I’m part of it? We have not made our IF journey public with everyone and I would prefer not to right now. This is an awesome idea! I agree with Melissa. I would love to know that it’s private and not available for others to see that I joined the group. We have not made it public either. Such a great idea! U are doing a wonderful thing. What a beautiful idea. Glad the Lord laid it on your heart to open this up to a wider scope of women. Also… I love your name. I named my daughter Caroline <3 Thanks for your visit to my blog! I love this idea! I’ll be joining for sure! This is a wonderful idea, Caroline. You’ll be sure to bless lots of women (and men) through this group. I love this idea and that you are doing something with the trials that you’ve been through to help others with their pain!! May God bring great healing and JOY through this Ministry! I pray great wisdom as you help others. Thank you, thank you, thank you for setting this up… a Christ-centered group is needed! Yay Caroline…this is awesome!! Thanks for starting this! What a wonderful idea, Caroline! I have no doubt God will bless this ministry. This would have been a great group to have when we were going through this. Fortunately in our 30’s I suddenly started having children, but until then I had so much pain and it really did seem like I was all alone. What a blessing your support is going to provide! This is a really great idea and a wonderful ministry. I’m going to bookmark in case we come across someone who might this in the future. This is a big mission, and one that I certainly know is unmet where I live. You have so much to be proud of. You truly are blessing others. Oh I am so proud of you! How wonderful Caroline. You are such a blessing and this will surely bless others. I’ll be sharing this to my Deliberate Mom Facebook page. I’m so excited for you and this journey/mission. I have traveled this road and it can be trying. After much prayer and waiting for 13 years we had our daughter. What a blessing and joy she is. I had to go it alone, but I’m sure it would have been comforting to have had support. It is a great idea and it will be a great help to the women you support! Great group! I’m sure it will be helpful to others going through this! I’ve been looking for something like this because there are no support groups local to where I live. I have 2 boys already, thanks to fertility treatments. Our family isn’t complete, though. We will have to do IVF again. Can I join? So excited about this! I just sent a join request. Yay!! Hey! Is there a way you can send me the link through FB messenger? I can’t seem to join from here because I’m at work & FB is blocked, but it won’t let me through my phone either! So glad you made this group online and would love to join if I fit the criteria. All the best! I would love to join the group! My husband and I have only shared with close friends and some family our story, so it would be great to be able to share and help support other women who can relate. I’m so glad I stumbled upon your blog, I’m VERY new to blogging about infertility, I’ve been blogging about beauty for a couple of years now. I would LOVE to join this group. Unfortunately, don’t really know many people personally that are going thru this, so this group will be wonderful. I’m looking forward to reading more about your journey and following along. I would love to join this group! I was not able to find it on facebook so please let me know what I need to do to join. Thank you!! Sounds awesome, I have requested to join, I would be great to make some friends who are in a similar situation as us! Thank you for listening to God’s call to start this group. This is such a struggle for us and it hurts. Signing up today! Your blog totally inspired me to write my feelings down, and boy am I glad I finally did. It literally feels like a weight has been lifted off my chest to finally be able to put myself out there in hopes of helping anyone that reads. Thanks so much for your encouragement!! I became pregnant and lost our three babes. Pain and sorrow and a depth of loss I never knew existed ensued. Then I was pregnant again. I felt guilt for leaving three babies behind. I felt guilt for the ensuing tests and ultrasounds done at the clinic we went to, where other couples waiting for a baby would hear our joy. It’s such a weird place to be. This is wonderful. I’ve sent a request via Facebook. Lost our baby on Christmas and haven’t been able to get pregnant again. Seeing A specialist as they think I’m not ovulating. It’s been a rough 2016. Excited to not feel so alone! Would love to be a part of this if it is still a thing! We are not public about our journey yet though. How do I join without letting the whole world see? This is a wonderful idea ladies. From current personal experience, it’s sometimes hard to talk about with family or close friends. Having such a forum, allows uninhibited communication. God bless you all. Does one need to have a Facebook account in order to be a part of this group? 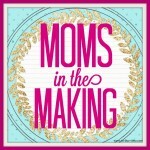 Your letter to moms in the making came at the perfect time. I met with my RE today for a debriefing on my last 3/3 failed round of IVF and she mentioned using donor eggs; I’m going to be 32 in February and I’m not willing to believe that my husband and I cannot create our own loving family. The Bible is filled with stories of miraculous conception and I’m not willing to give up and it was suggested I start speaking to someone about these thoughts and feelings and I believe a moms in the making group is somewhere my thoughts would be most understood. So thank you! I’d love to join the group! I would love to join. 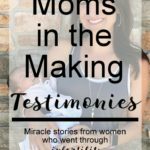 I have gone through fertility issues, a stillbirth, and now going through the infertility journey again. I do not have Facebook, only IG. I’m in Dallas, can I join in person? Hi there! I would love to join this group. My husband and I were just told we would never have children naturally and it has been a devastating news. I’ve been reading your blog and it has helped provide encouragement. I would love to be part of the group on a deeper level. I would love to join! This is amazing and I’m so happy I’ve found this. Just what I need going through this. I’d love to be a part of this group! You are doing such a great job Caroline! What a blessing you are to the fertility community! Thank you and God Bless you for creating something so remarkable!